Univ Of Minnesota Press, 9780816646272, 184pp. "Stories are wondrous things. And they are dangerous." 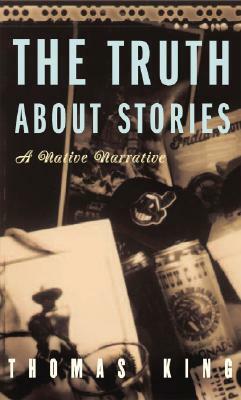 In The Truth About Stories, Native novelist and scholar Thomas King explores how stories shape who we are and how we understand and interact with other people. From creation stories to personal experiences, historical anecdotes to social injustices, racist propaganda to works of contemporary Native literature, King probes Native culture's deep ties to storytelling. With wry humor, King deftly weaves events from his own life as a child in California, an academic in Canada, and a Native North American with a wide-ranging discussion of stories told by and about Indians. So many stories have been told about Indians, King comments, that "there is no reason for the Indian to be real. The Indian simply has to exist in our imaginations." That imaginative Indian that North Americans hold dear has been challenged by Native writers - N. Scott Momaday, Leslie Marmon Silko, Louis Owens, Robert Alexie, and others - who provide alternative narratives of the Native experience that question, create a present, and imagine a future. King reminds the reader, Native and non-Native, that storytelling carries with it social and moral responsibilties. "Don't say in the years to come that you would have lived your life differently if only you had heard this story. You've heard it now."